Can Washington Compete Without Signing International Stars? 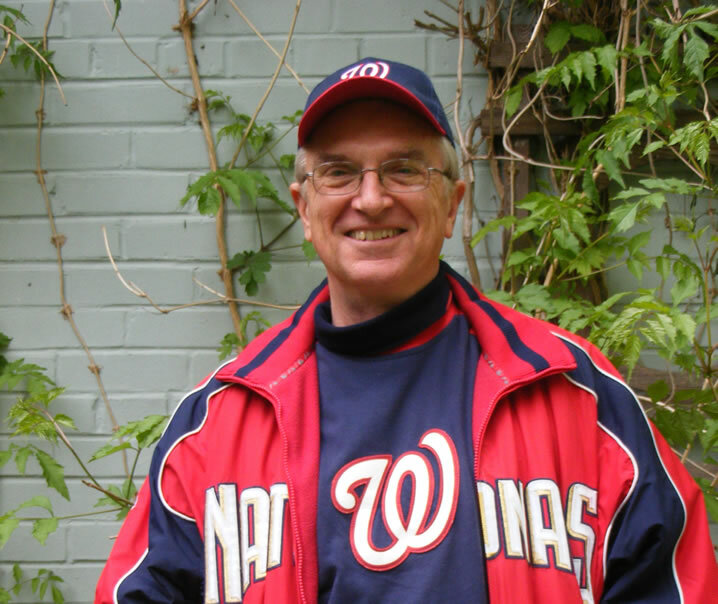 As an organization the Washington Nationals have eschewed big international signings. The few forays they have made have been disappointing at best. They announced today that they pursuing legal options to recoup the $1.4 million that they paid to Dominican phenom Smiley Gonzalez in 2006. Smiles turned to frowns when the 16-year old Gonzalez became the 20-year old Alvarez Lugo. They tried again in 2009 when they landed Cuban emigre, Yuniesky Maya, who commanded a four-year, $8 million contract. Maya proved of little value and has earned only small cups of coffee at the big league level. The Nationals have been twice burned in their signing of international talent, but they are handicapping the organization by sitting on the sidelines when big talents like Yeonis Cespedes, Yasiel Puig and Miguel Sano are available. The big news yesterday was the defection of another Cuban star, Jose Dariel Abreu, who profiles with much the same upside as Puig and Cespedes. Will Washington go all in this time or wait for Scott Boras to drop the bat they need in their lap? From the Washington perspective the big difference is Abreu is a prototypical slugging first baseman. Given the below par performance of Adam LaRoche this season and the gaping hole he has left in the middle of the batting order, Abreu could be an attractive option if the Nationals brain trust can be convinced that the Cuban is a suitable option. He could be the right-handed, middle of the order hitter they lack. Abreu benefits on two levels from the current situation in Major League Baseball. The first is the relative paucity of power hitters in the upcoming free agent class. Other than Robinson Cano there is no star-power hitter available. Additionally, Baseball America states that there is scarcity of power-hitting first baseman in the minor leagues as well. Abreu would be the best in that market and could potentially be the best free agent first baseman of any kind. At the major league level there is Mike Napoli and Kendrys Morales but they do not represent any significant upgrade over a 35 year old LaRoche. For the Nationals Jose Abreu could be the best power first baseman not only on the market in 2014, but in the foreseeable future. The second benefit Abreu has is how well Cespedes and Puig have done in the majors. Cuban stars like Dayan Viciedo and Kendrys Morales have had success previously, but Puig and Cespedes have added further legitimacy to claims that Cuban stars can make a quick and valuable contribution when signed. And for the money they have provided relatively good value. Cespedes signed for four years at $36 million and Puig is a potential All-Star at the ridiculously low figure of $42 million for seven years. Given the value these players could have, their contracts are Filenes’ basement bargains. Abreu has the ability to become the top power hitter to emerge from Cuba in the last decade. He has more power potential than Cespedes who has 18 home runs in his first season with the Oakland Athletics. Abreu hit .453/.597/.986 during the regular Cuban baseball season last year with thirty-three home runs and 93 runs batted in only 212 at-bats. The Serie Nacional league in Cuba is the equivalent of high-A ball in the states, but when Baseball Prospectus’ Clay Davenport ran comparisons two years ago he found Abreu’s numbers comparable to Miguel Cabrera. Is it a certainty that Abreu can reach that level if signed? No, but there is a chance and that is why teams will bid high to find out just how good he can be. The biggest problem Abreu faces is his lack of overall athleticism like a Cespedes or Puig. Cespedes can play any outfield position including center and Puig similarly is a fine overall athlete who has the arm for right field and the power bat for the corner position. Abreu profiles much differently. He is bigger and will have one place on the diamond: first base. In a recent podcast, Baseball America’s Ben Badler and John Manuel both agreed that the Nationals could be players for Abreu. Washington has as much need for a first base slugger as anyone and one of their big problems this year has been the lack of a right-handed power hitter. Jayson Werth is hitting cleanup now, but the problem has been the plunging power numbers of Ryan Zimmerman. There has been talk of moving him to first base in 2014, but there is more question about Zimmerman’s bat than there is about his throwing arm. Leaving him at third base and Rendon at second works better if there is legitimate 30+ home run power at first and Abreu has the potential. The Nationals have shown a willingness to roll the dice. The trade for Gio Gonzalez was a bold move that was criticized by many, yet it has reaped dividends and made Rizzo look good in the bargain. Signing Abreu has downside risk. There have been plenty of Cubans who have not done well at the major league level. Rizzo could have another Yuniesky Maya signing or he could have a power hitting first baseman who is only 26 years old and can fill up the middle of the order on a team that probably only needs one more bat to again reach the highest level of MLB. The upside is a huge one for Washington. Putting a plus-plus right handed bat into a lineup that includes Bryce Harper could turn a pedestrian offense into a league best. Taking the pressure off young hitters like Harper would help as would removing the pressure from Zimmerman to carry the rest of the weight. The Nationals have been twice burnt, but the third time could be the charm. Jose Dariel Abreu could be a name that rings church bells in Washington, or he could be just another smiley cover story about what could have been. One thing is certain. Washington will not pick first in the amateur draft again in the future, so they cannot sit idly while other teams reap the huge rewards of the international talent market. They have to make the same statement there that they have with Harper and Strasburg. The risks are bigger, but wall flowers go home alone.